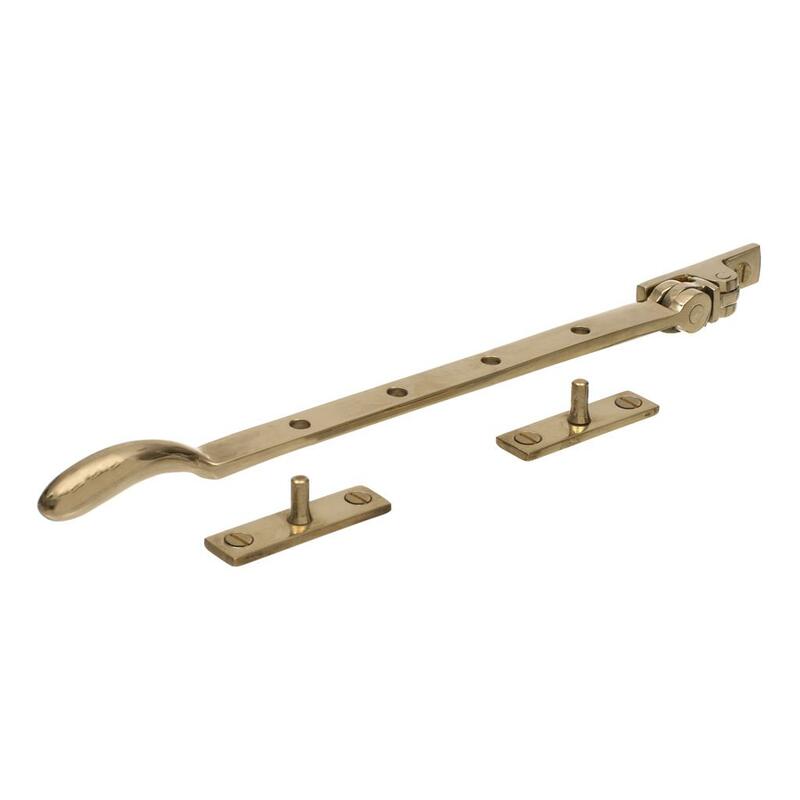 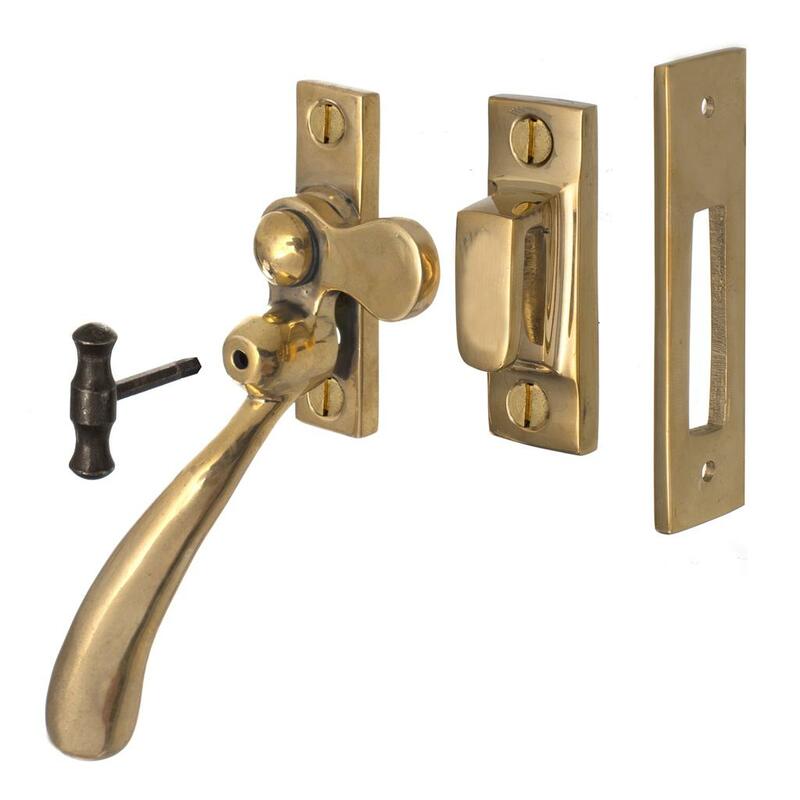 The Jim Lawrence London Lockable Window Latch is an elegant, hand crafted brass window latch designed for casement windows, from our stunning collection of brass, forged iron and steel window handles, locks and fittings. 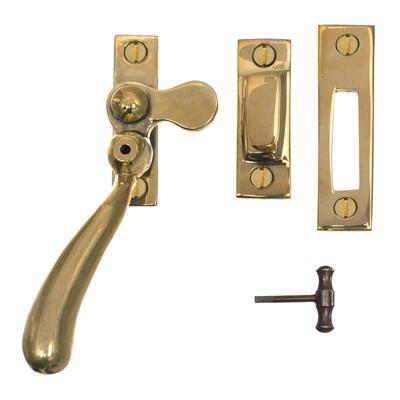 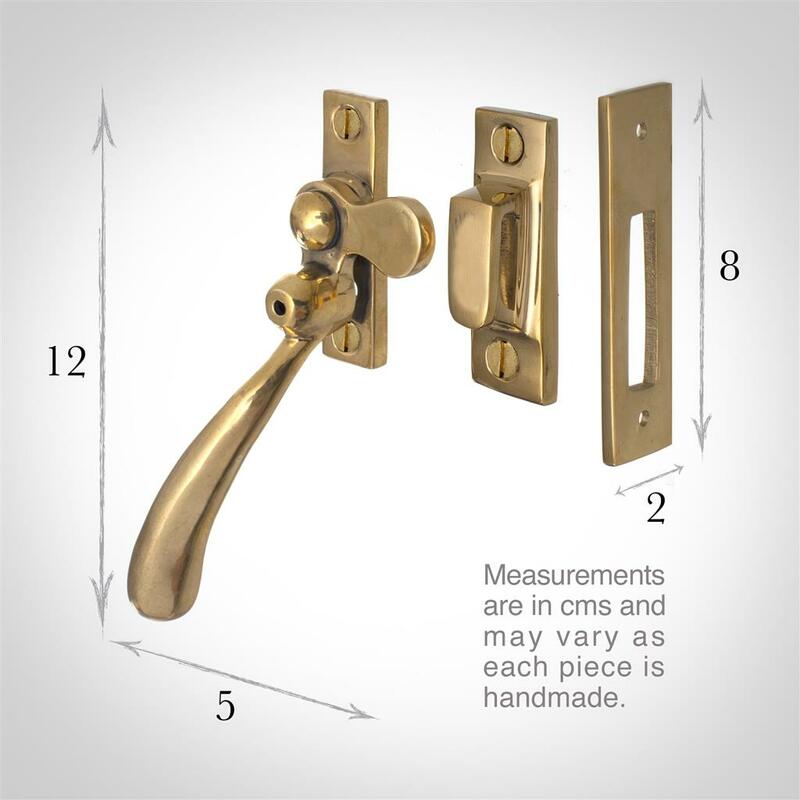 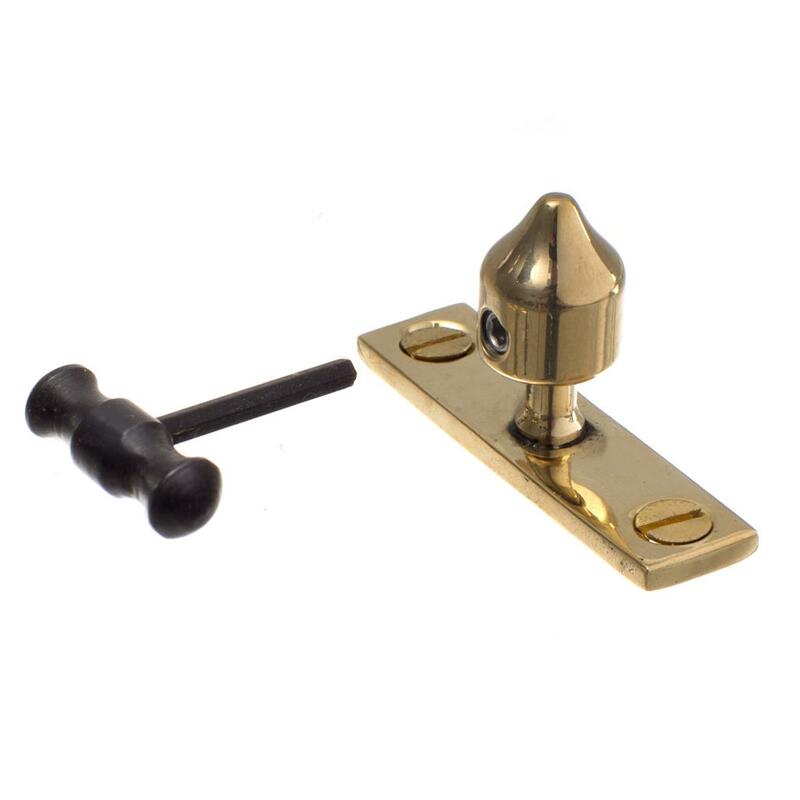 These lockable latches have a lovely, weighty solid brass handle that is incredibly tactile to feel and they open with a smooth mechanism that pronounces their quality. 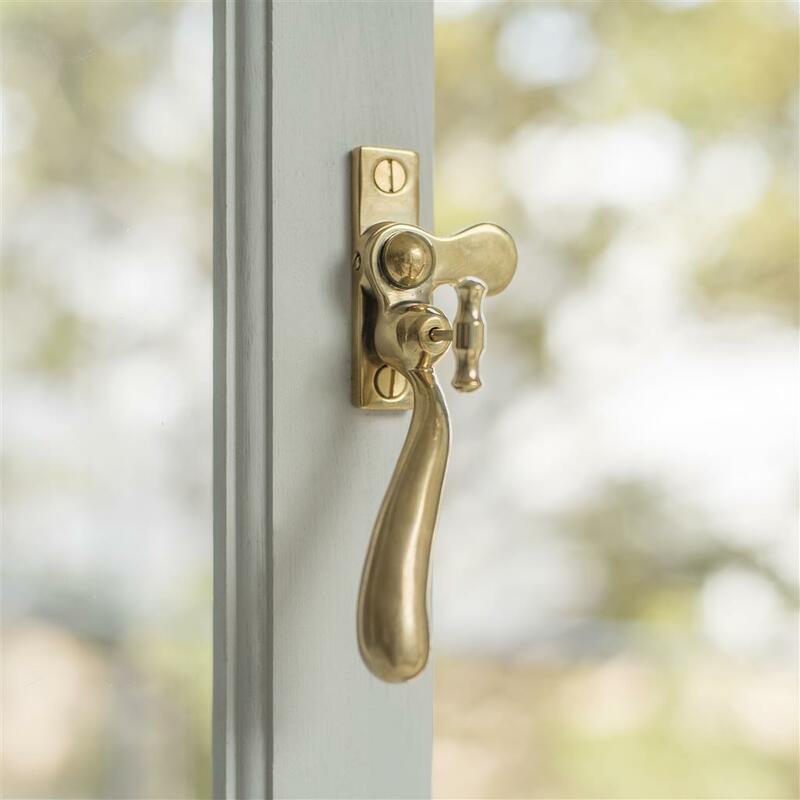 Given a lightly antiqued finish for a subtle, aged look, they will enhance the appearance of any window in a contemporary or period home. Made here at our Suffolk workshop using traditional brass working techniques, the detail in the design highlights the skill of our craftsmen and their ability to create products that will stand the test of time and look good an any setting. 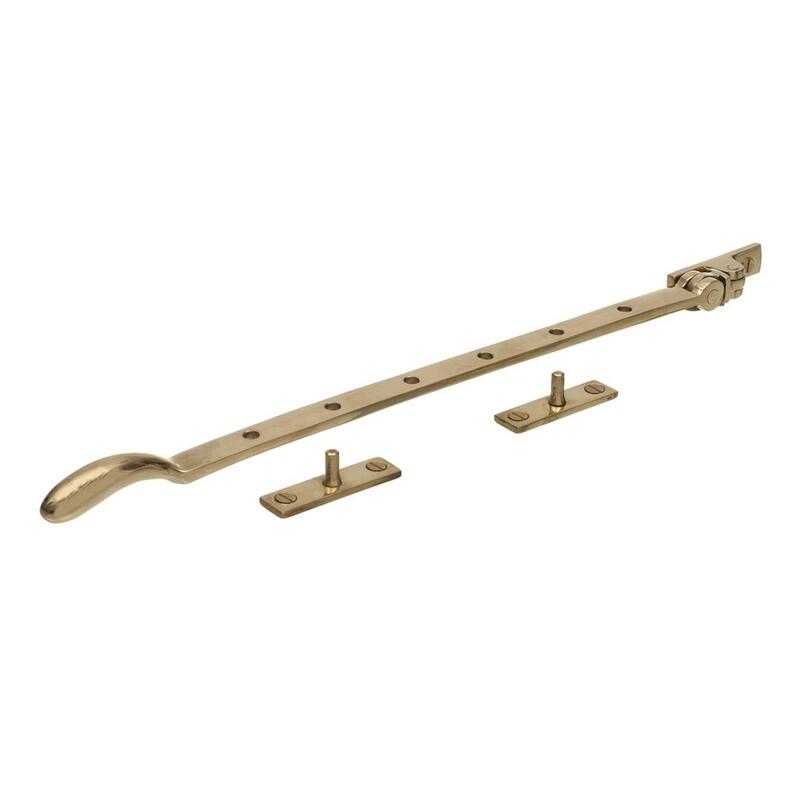 If partnered with our matching London Window Stays, electrical accessories and door and window fittings in Polished Brass, you will be able to create a wonderful uniform look throughout your home.